The JV has been established by the company with the aim of expanding its business operations in India. Fuji Electric invested approximately USD 200mn to expand outside Japan business from 2013 to 2015 and one of the investments is Fuji Gemco. 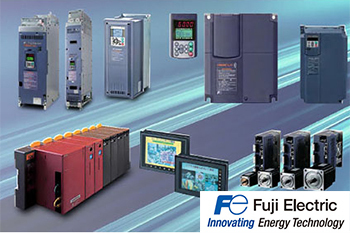 Japanese electric & thermal energy major Fuji Electric Co., Ltd. announced a Joint Venture (JV) with Gemco Controls Limited (Gemco), one of the leading manufacturers of Industrial Automation and Power Control Systems in India. The JV establishes a new entity in India – ‘Fuji Gemco Pvt. Ltd.’ in which Fuji Electric has a 51% stake. The JV has been established by the company with the aim of expanding its business operations in India. Fuji Electric invested approximately USD 200mn to expand outside Japan business from 2013 to 2015 and one of the investments is Fuji Gemco. Through this alliance Fuji Electric India is looking to set itself apart by offering systems solutions in sync with its “Innovating Energy Technology” philosophy. Gemco is a leading engineering firm in India with a successful track record of delivering Automation Control Systems to steelmakers as well as companies manufacturing paper, tube, wire & cable, sugar and a variety of other material. By tapping into Gemco’s outstanding engineering, manufacturing capabilities & far flung market reach, the company intends to jumpstart sales in Industrial Automation systems with it’s offerings of low/ medium voltage inverters, PLC’s, sensing & condition monitoring products, monitoring control systems, motors, and other Fuji Electric products that have already been successful in the industrial infrastructure sector. Fuji Electric India has a Drive Factory & Competency Center in Bhiwandi, which was set-up in June 2016. Going forward, Fuji Electric is looking to target metal, mining and mineral sector as well as equipment manufacturers like cranes, press processors, and more. The plan is to increase company sales in the form of its current level.